Diapers and dog food…please PITCH IN! and we’ll GET IT TO THEM. by Hurricane Matthew. They need EVERYTHING. Get it to us and we’ll get it to them. and we just received a $40 cash donation! Please bring what you can! After their basic needs are met, we anticipate that the folks in Lumberton will need furniture, bedding and much more and we will keep you updated as to how we can all help with this, too. 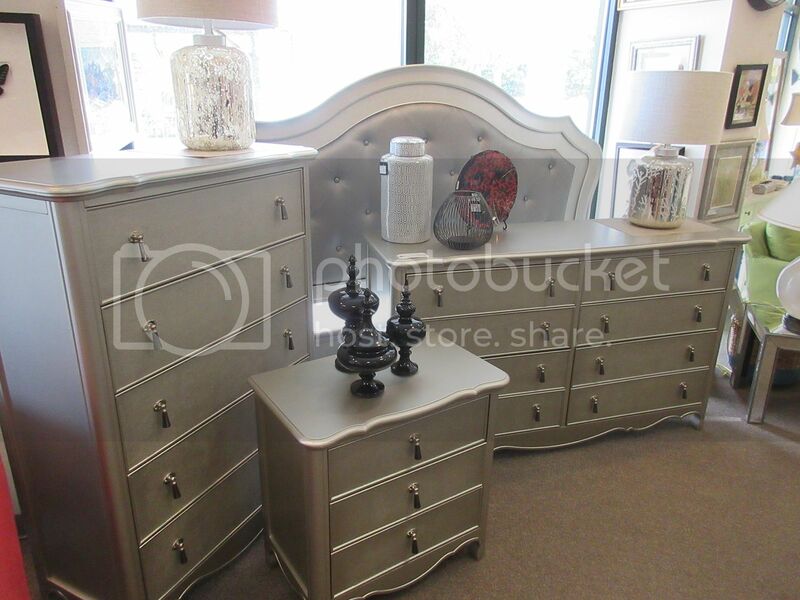 tall dresser, chest of drawers, and bedside table. 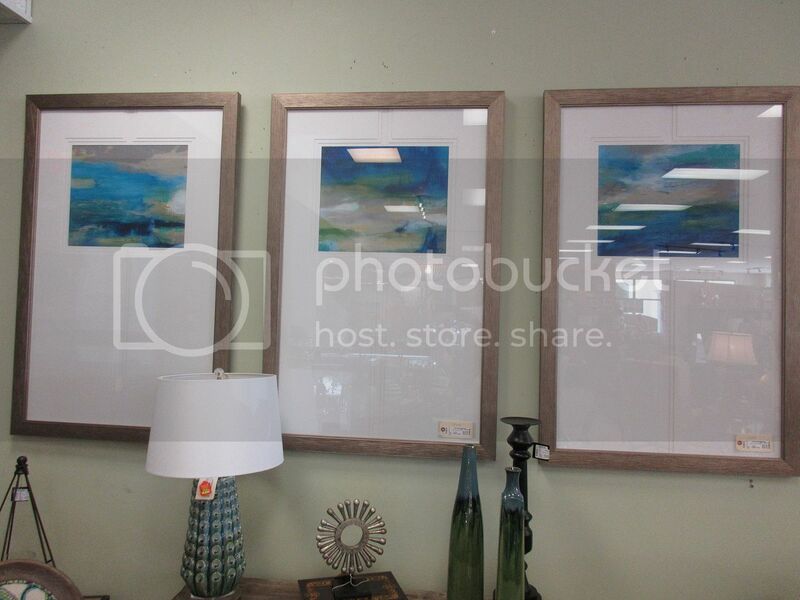 Trio of abstract art $145 each, 22.5×38.5. 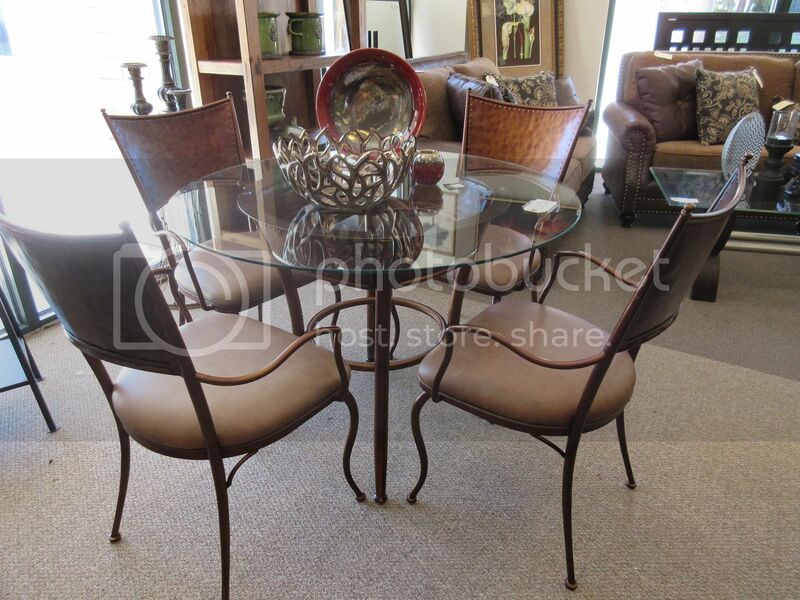 Linen chairs $145 each (sold by the pair only, 6 available). 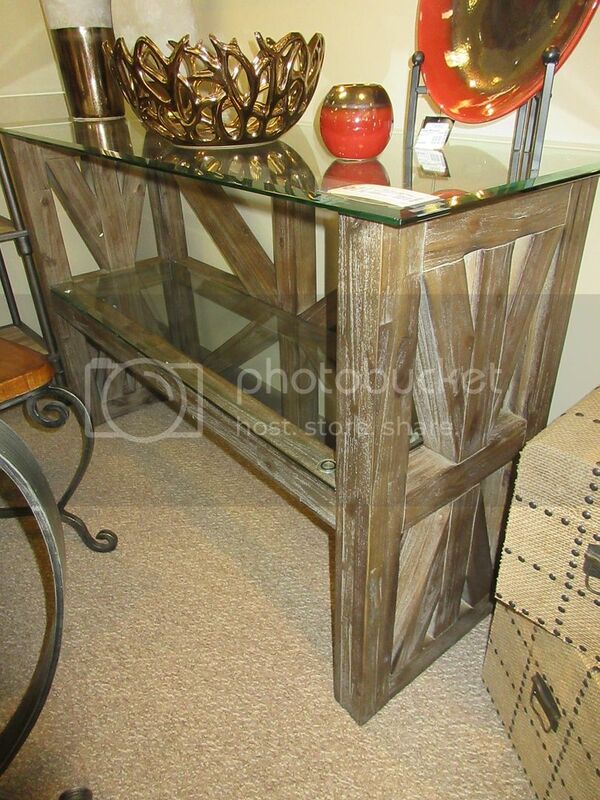 Rustic server with glass shelves, $495. 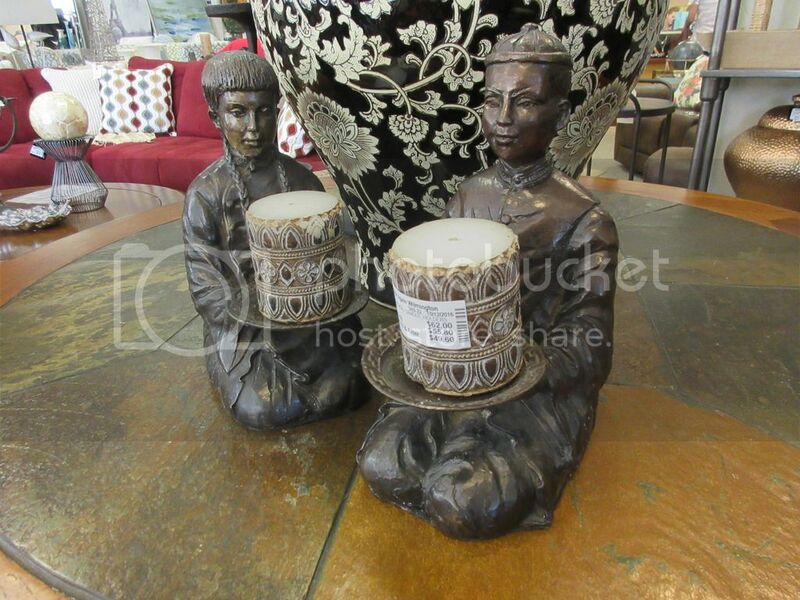 counter stools, $225 each, sold in pairs only. 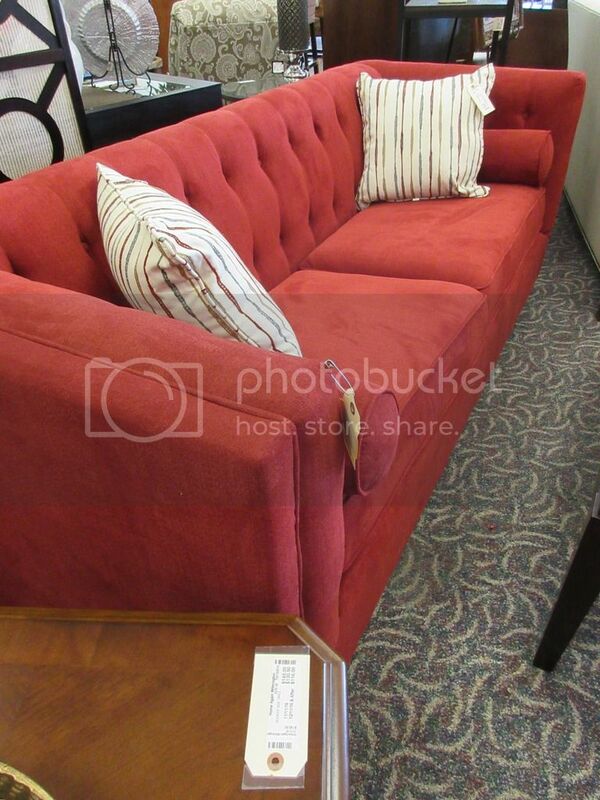 online for $1,080, buy it at Home Again for $380! 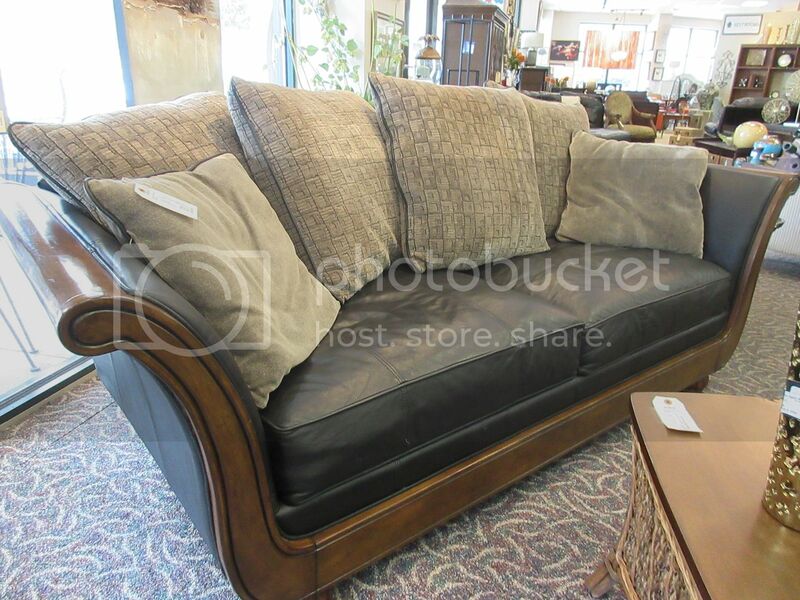 Collezione Europa, leather sofa $895, 89″W. 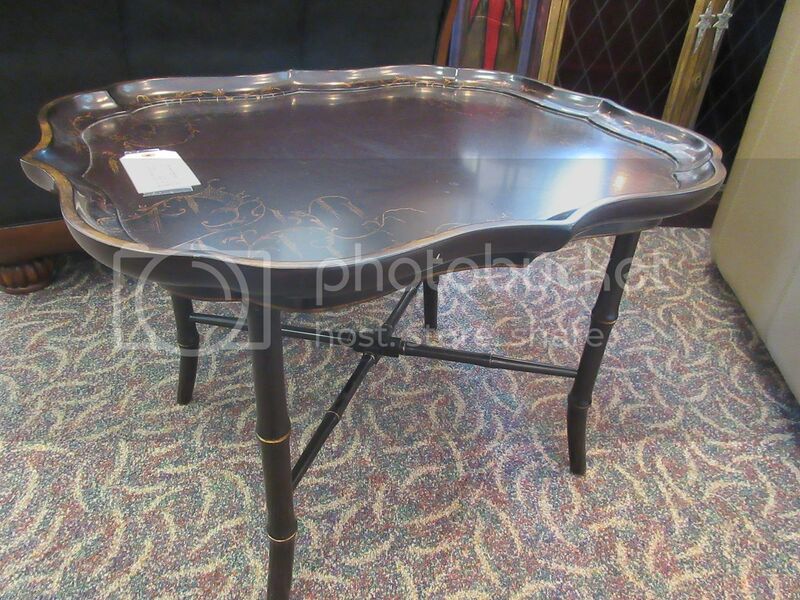 Small scale Chinoiserie tray top accent table by Bernhardt $295. 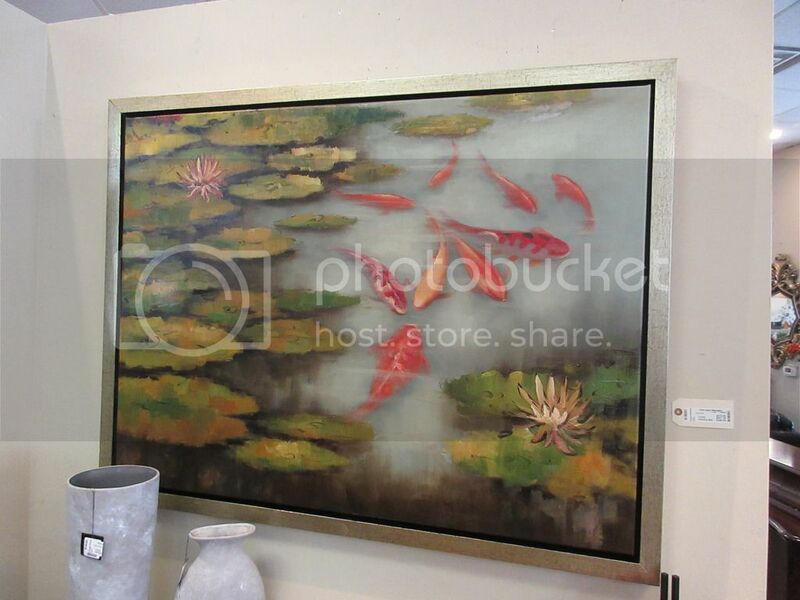 $1,500, our price $595. 78″W. 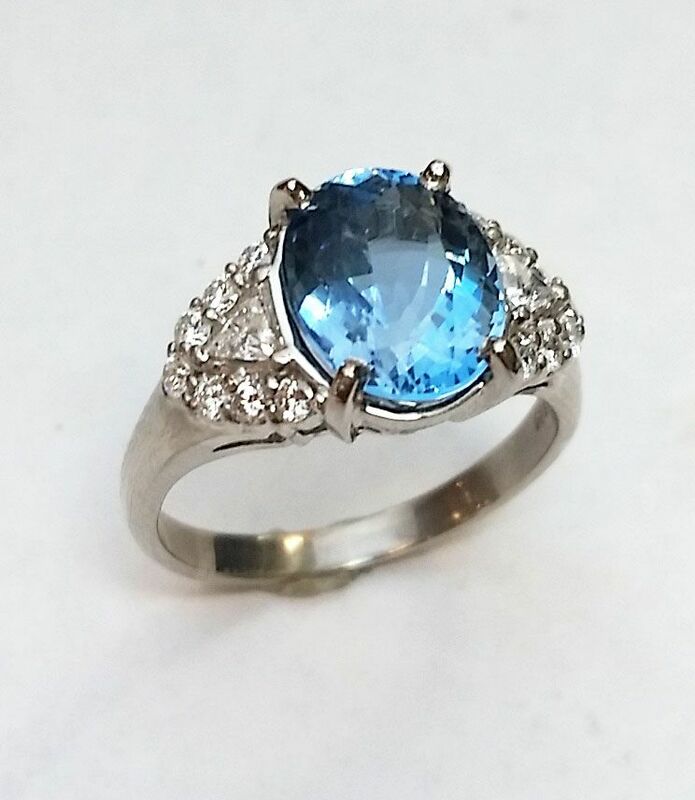 And its companion…be still my heart…$425. 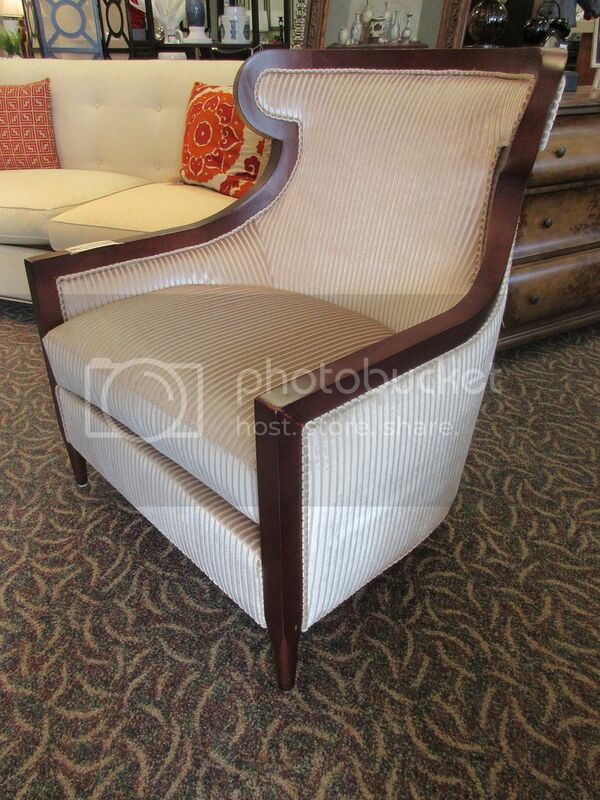 So handsome…striped accent chair just $295, 33″W. 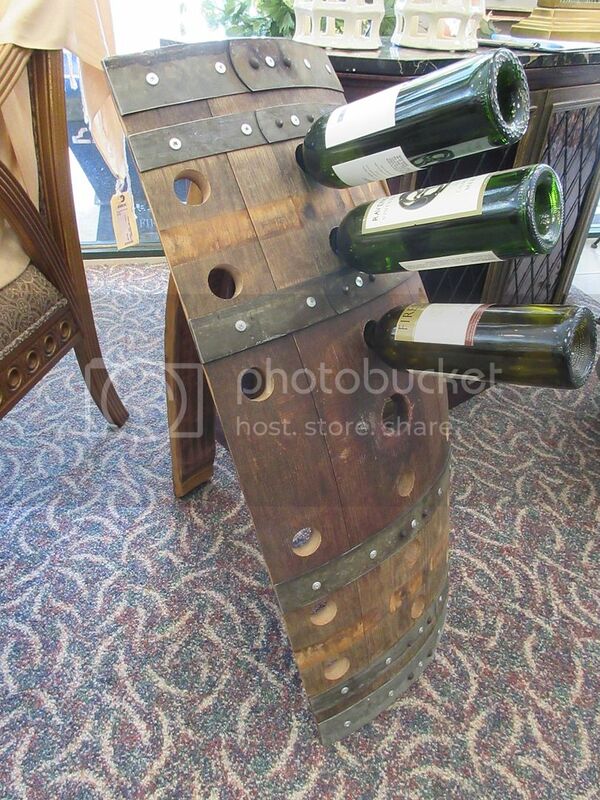 Unusual wine rack made out of a barrel, $125. 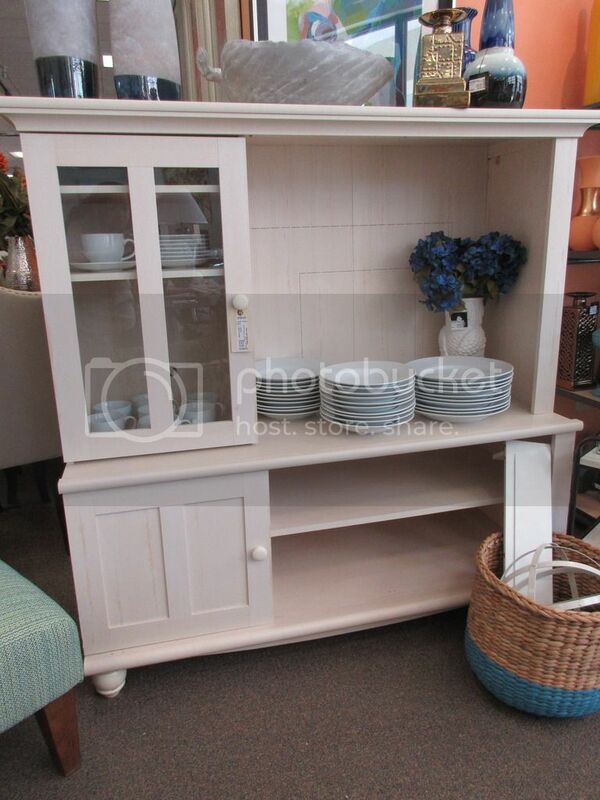 Small scale entertainment center $225. 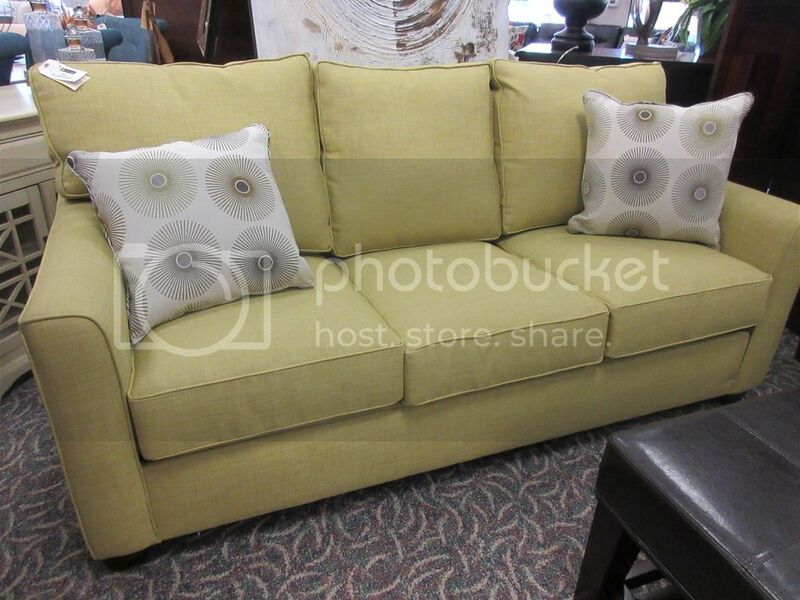 Kiwi green queen sleeper sofa, brand new for $995. Just so pretty…17″ ginger jar, $42. This picture is not great…but the art is! 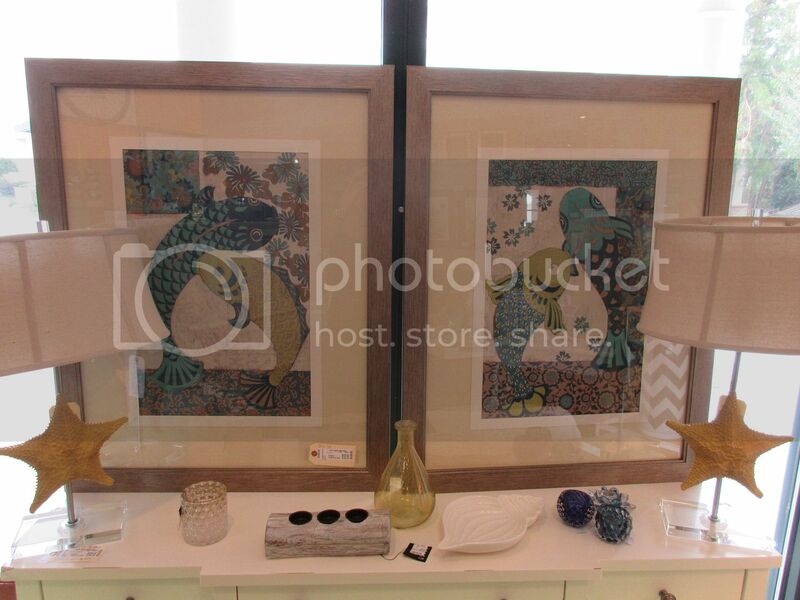 Pair of companion koi fish art in blues and lime, $225 each. 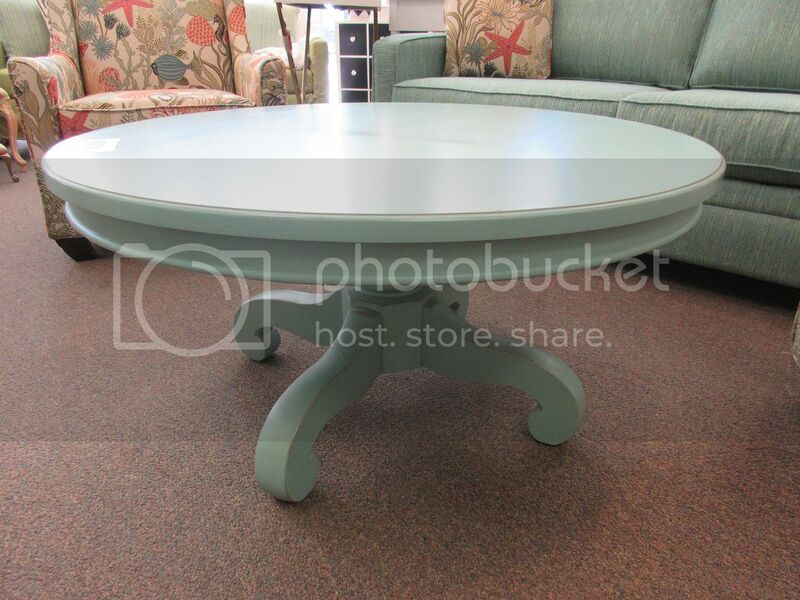 This won’t last…Tiffany blue coffee table $225. copper and the seats are leather. A super buy at $495. 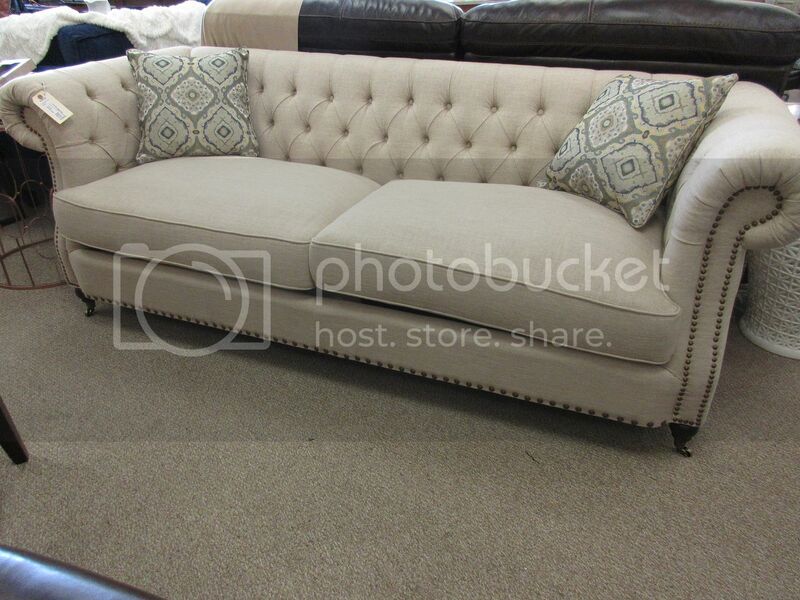 $2237 online, our price is just $425, and it’s in great condition. 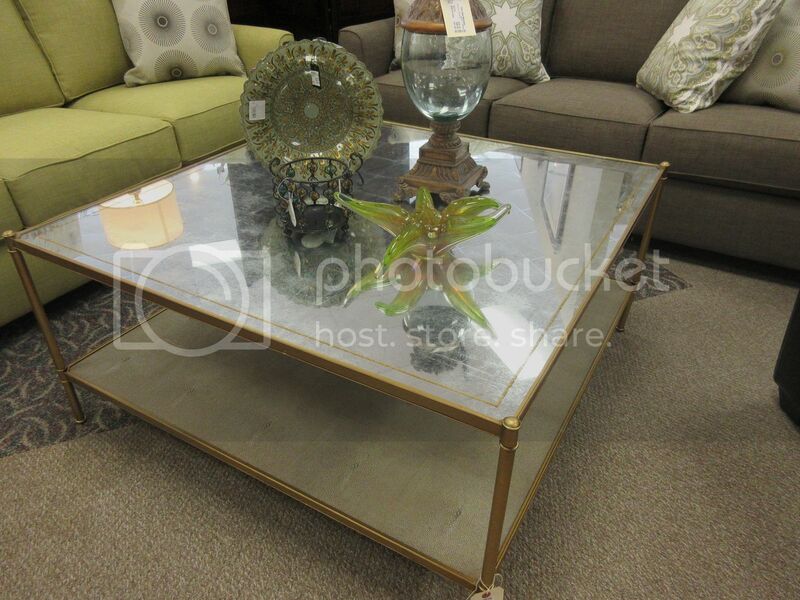 has been marked down to $450! The top drawer unit is removable. 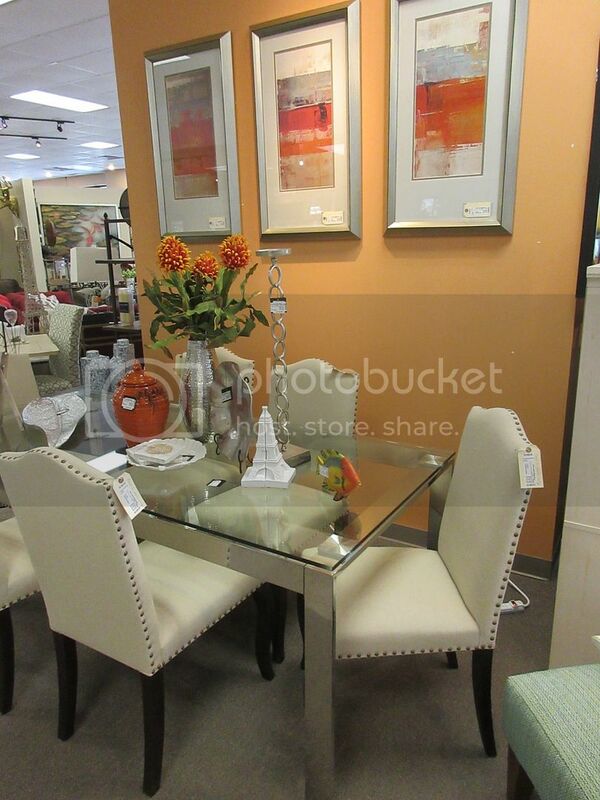 richness for your home…$62 for the set. 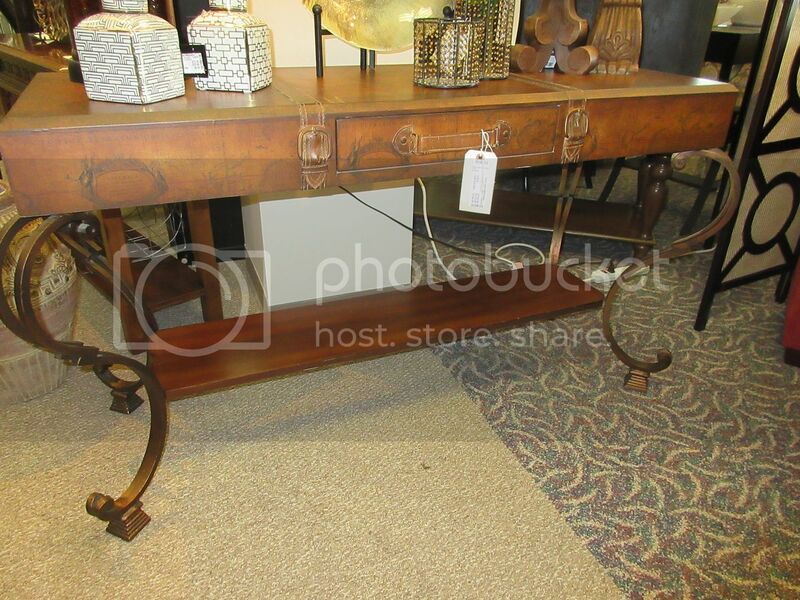 Lovely wood console table in like new condition, $395. 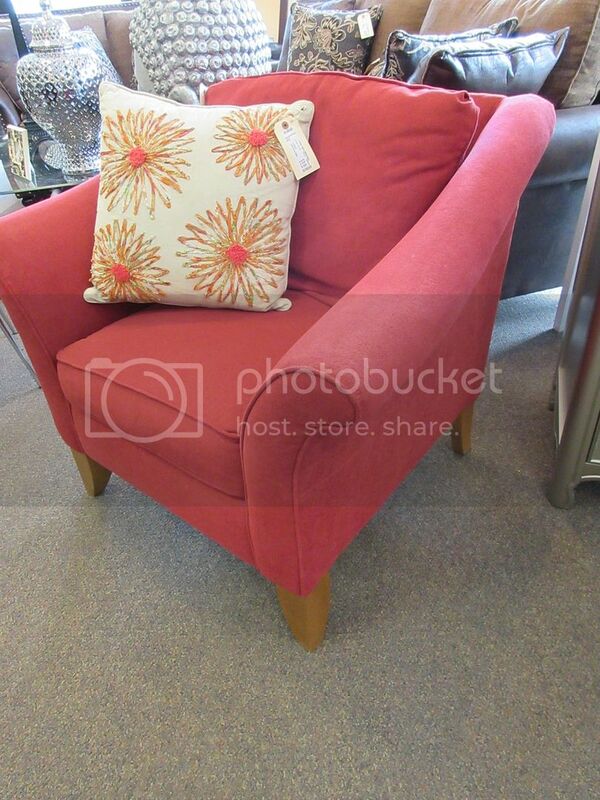 Jaunty soft red club chair, and affordable $225, 38″W. 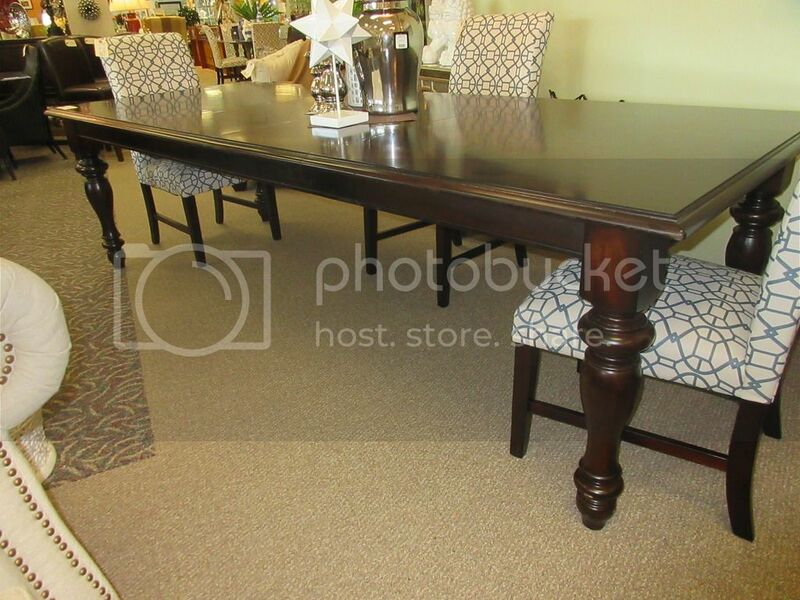 with lovely turned legs, $795, compare at $1,800. 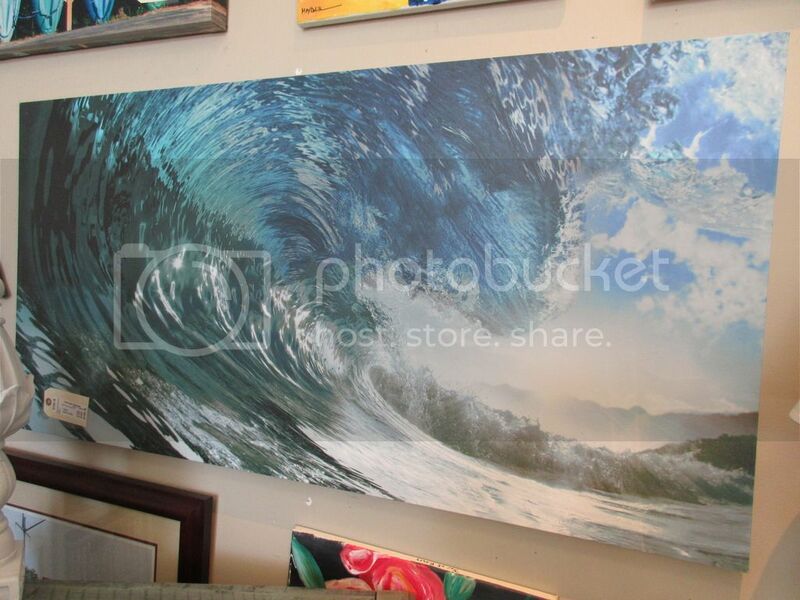 So lifelike…wave art on canvas $42, 48×24. 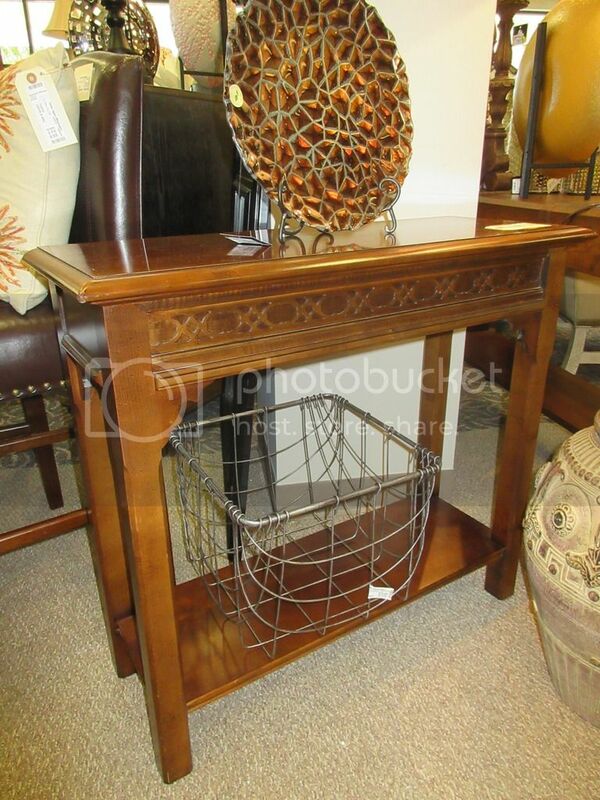 This small scale console table is a deal at $95. 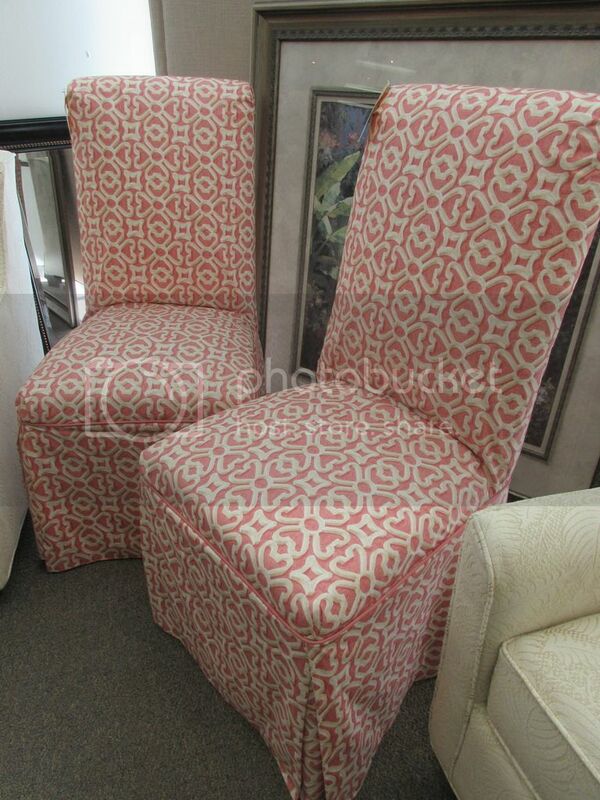 Rich coral slipcovered parsons chairs $72 each. Two available. 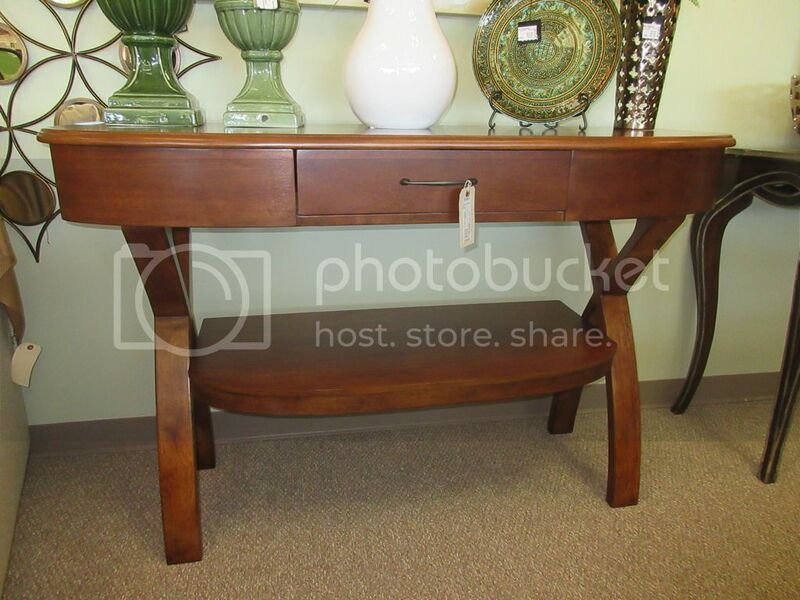 Deal alert…map console table just $195. 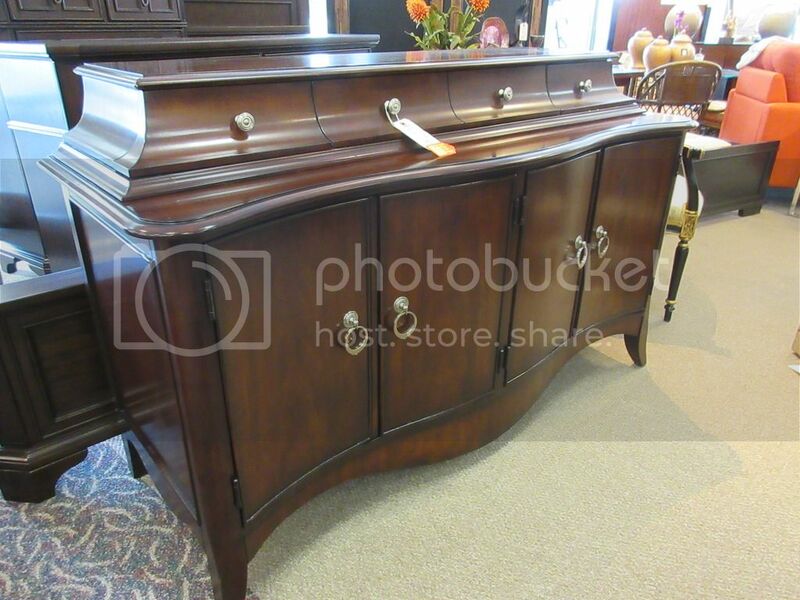 Just imagine how much you can store in this clothes armoire from Lexington, just $395! There are lots of shelves and also a hanging clothes pole behind the mirrored door. 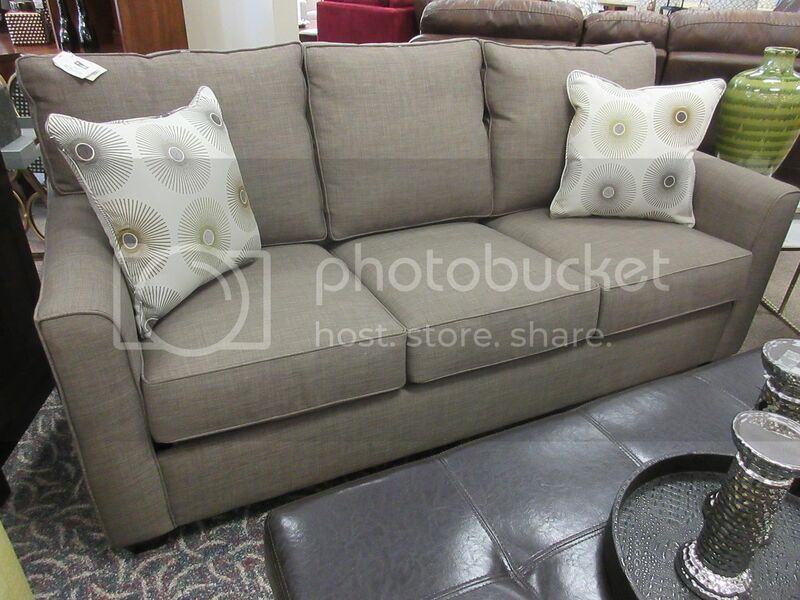 Lazy-Boy in like new condition, just $395! 3.50ctw SI clarity H color diamonds set into 14kw gold. $3,895. with the whole kit and caboodle. 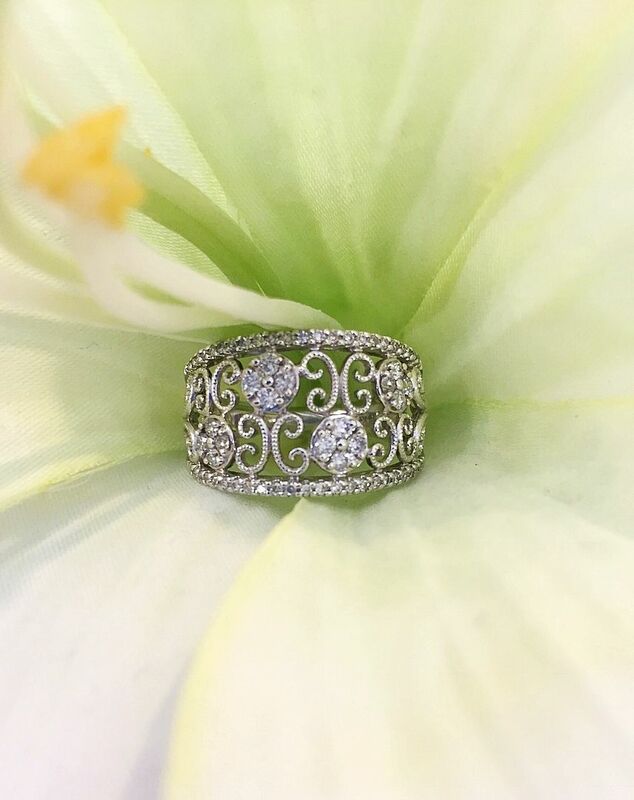 diamond accented with 4.91ctw diamonds set in platinum. 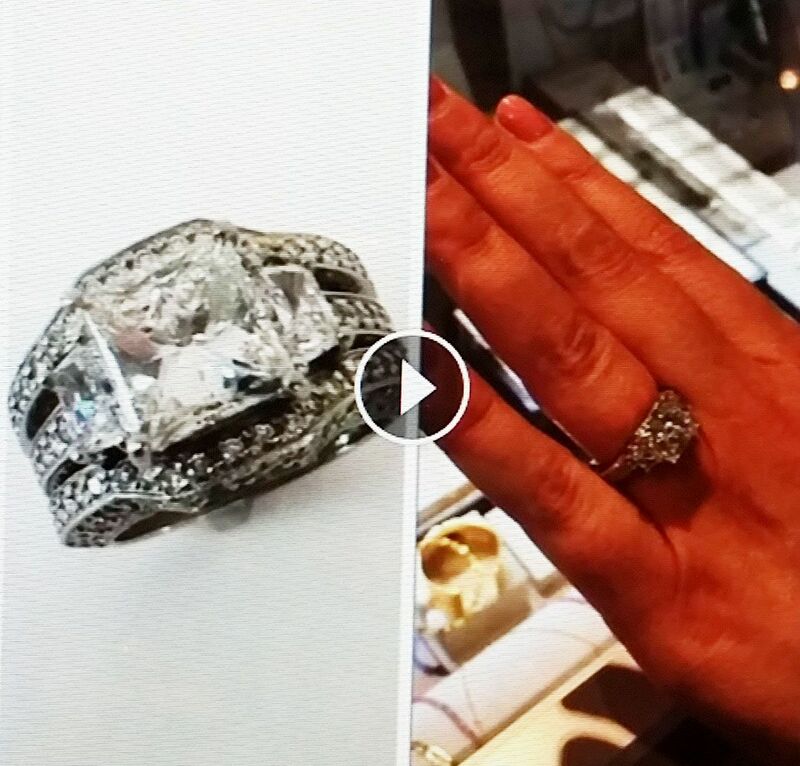 You get this custom engagement ring and matching bands for only $29,000. Original receipt $73k! Speaking of a once in a lifetime find…. …sorry guys, Miss Mallory McCombs is officially taken. 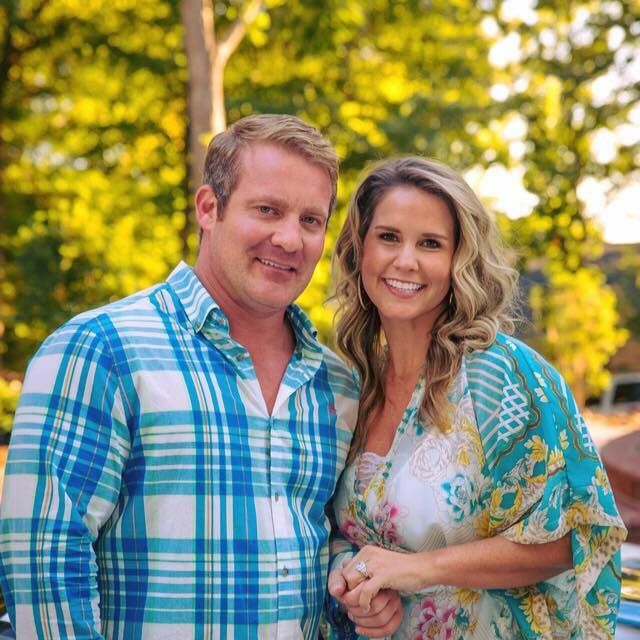 Congratulations to Victor & Mallory! 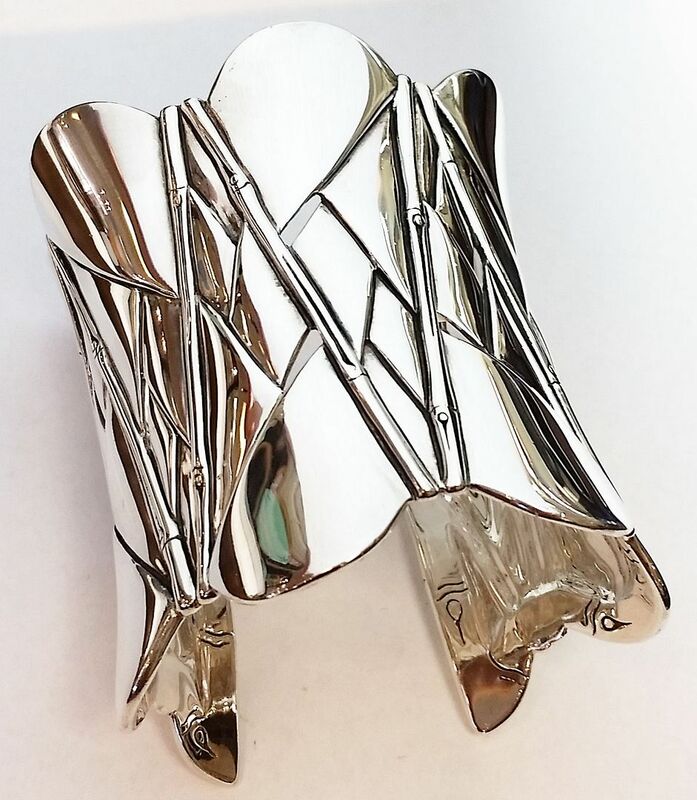 John Hardy ENORMOUS Bamboo cuff, $1,195. 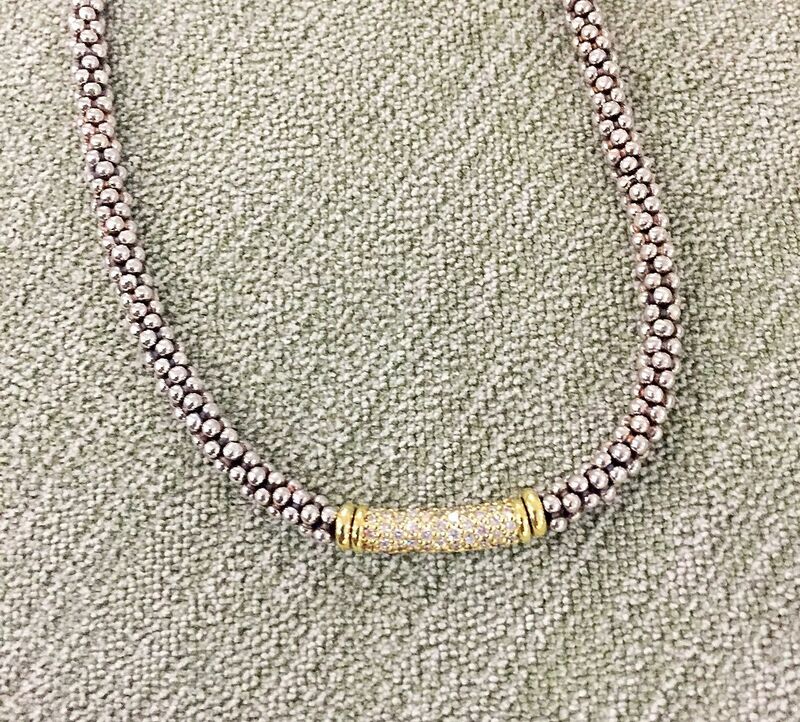 Lagos on consignment with .61tcw 4mm pave diamond Caviar 16 inch necklace. Retail $1995. 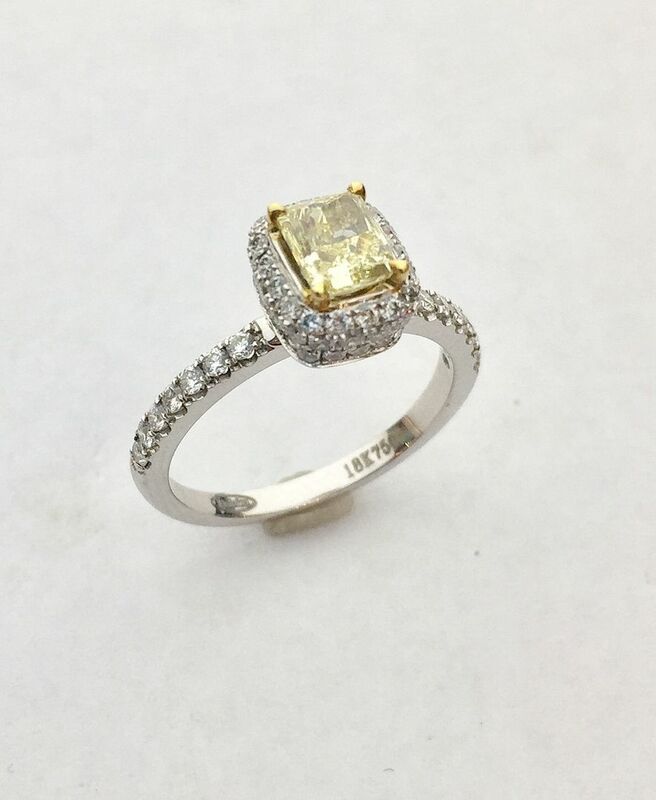 Buy here $1,095. 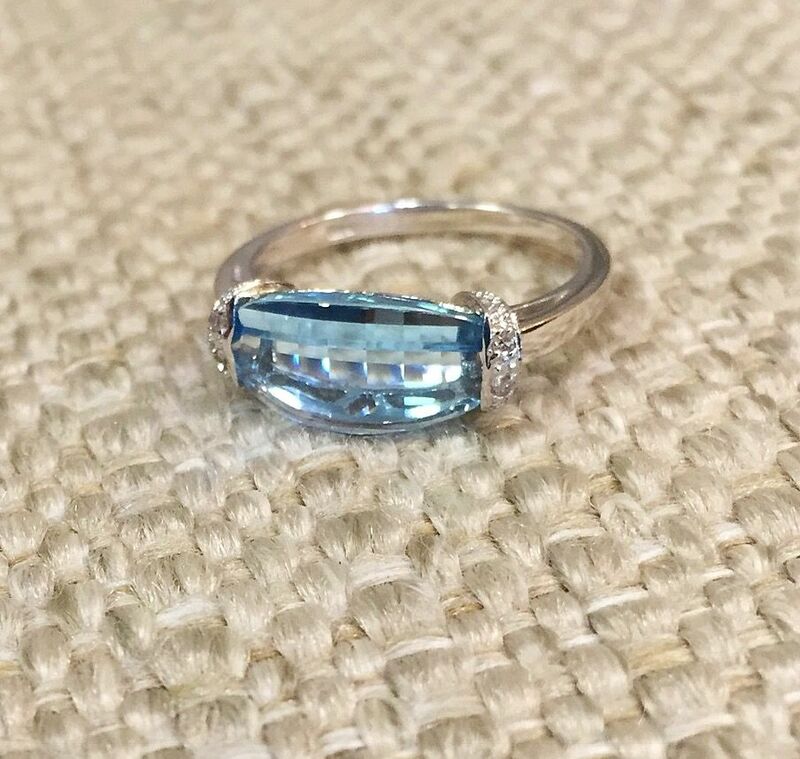 If you love a big ring…this one’s for you. 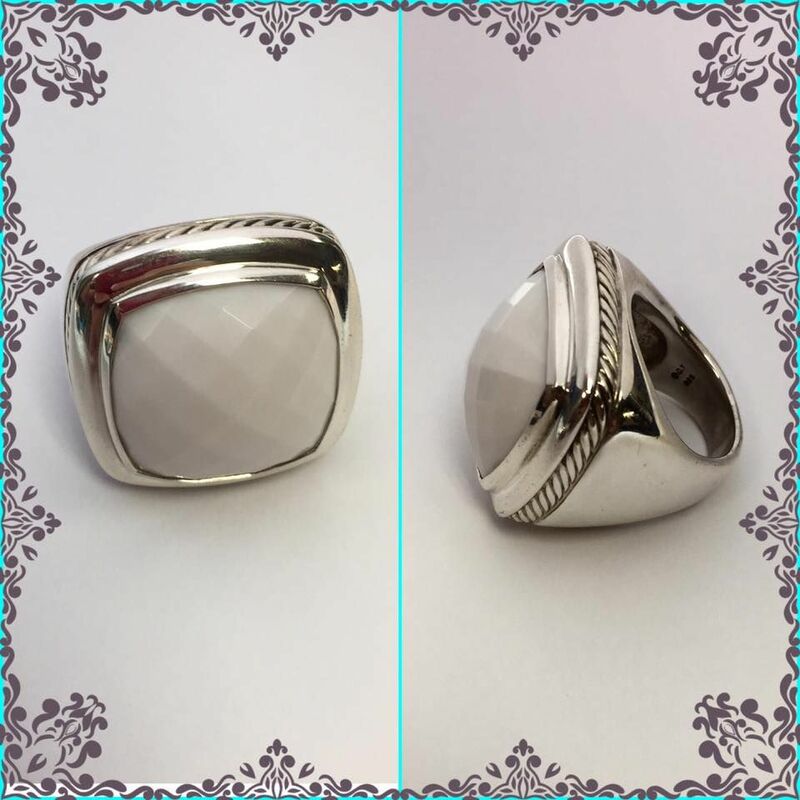 David Yurman Albion sterling silver/white agate, size 7, just $895. with 18ky gold accents. $575. 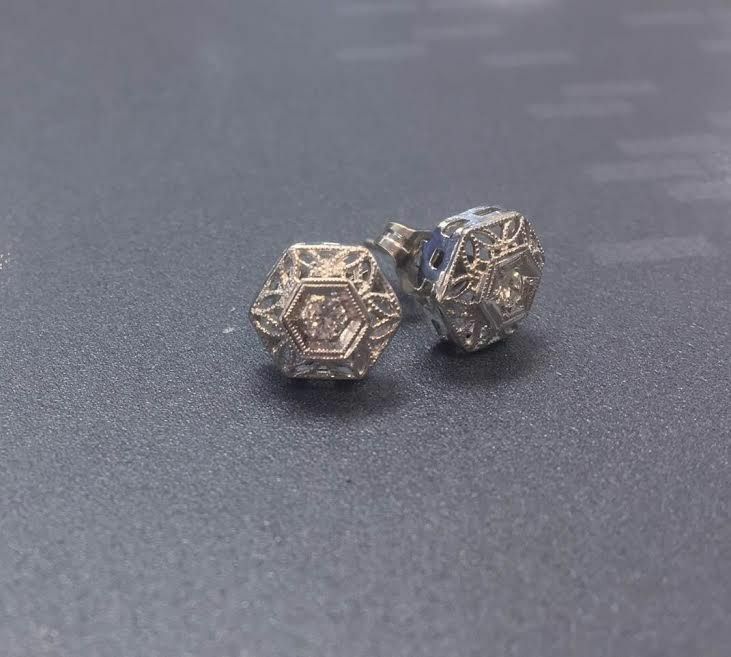 Diamond filigree 14kw gold stud earrings only $195. 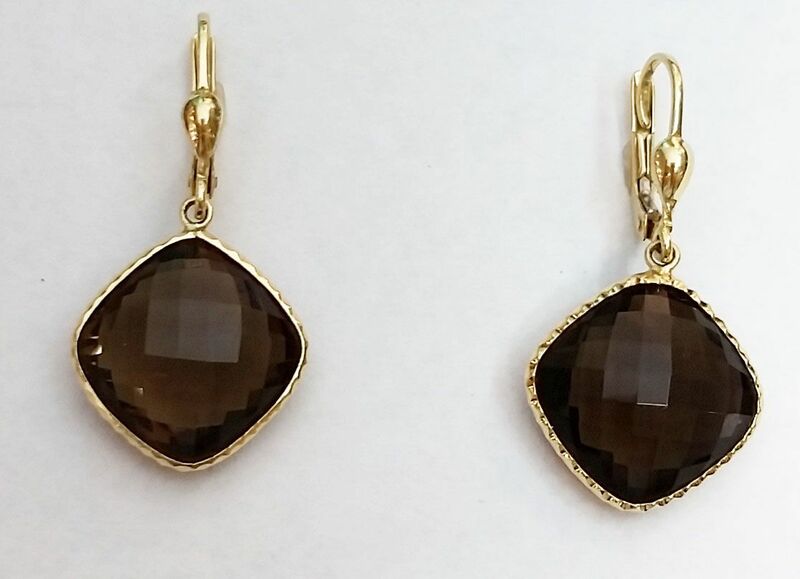 Your go-to fall earrings with smoky quartz in 14ky gold. $295. 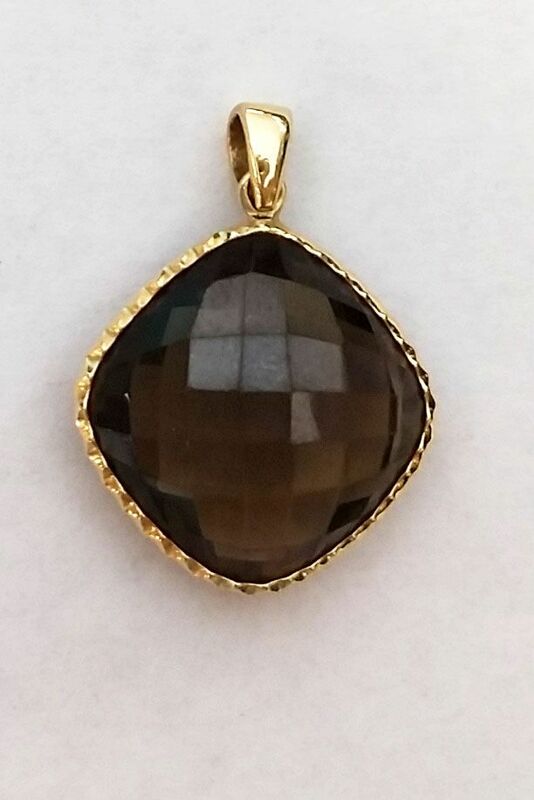 Get the matching pendant for $195. 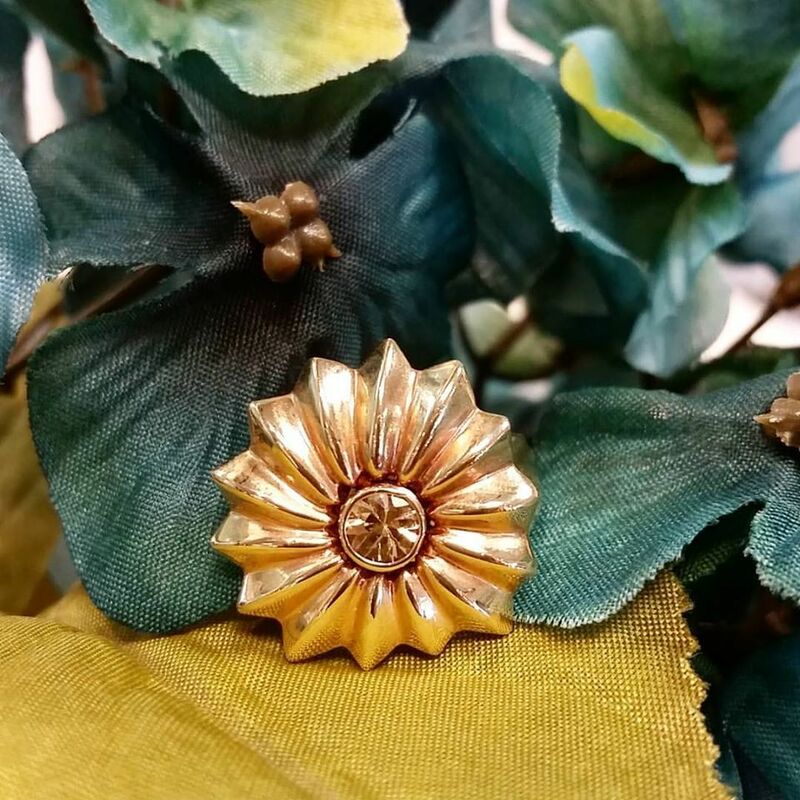 in an 18kw gold halo style setting. $4,495. 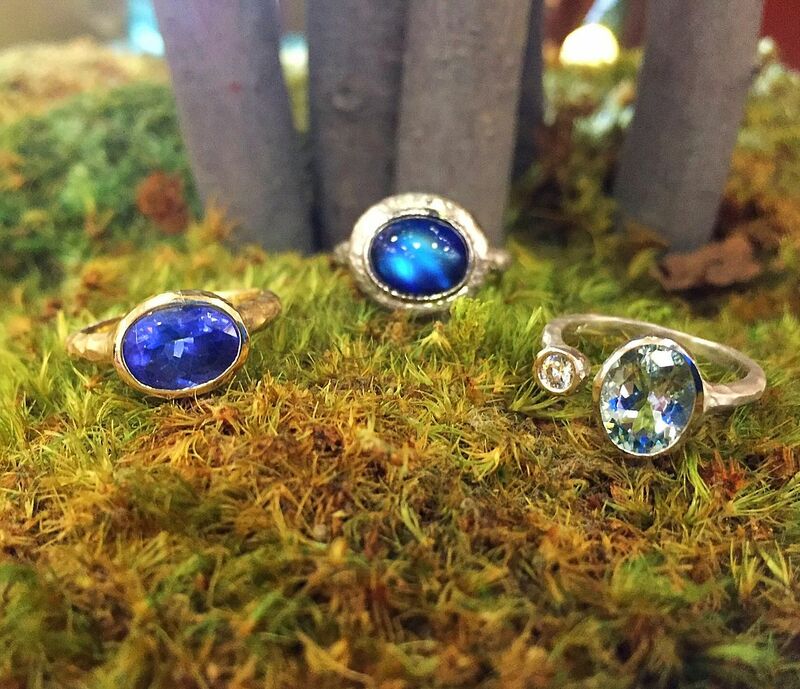 Don’t miss out on October’s birthstone sale! 20% to 50% off this month! 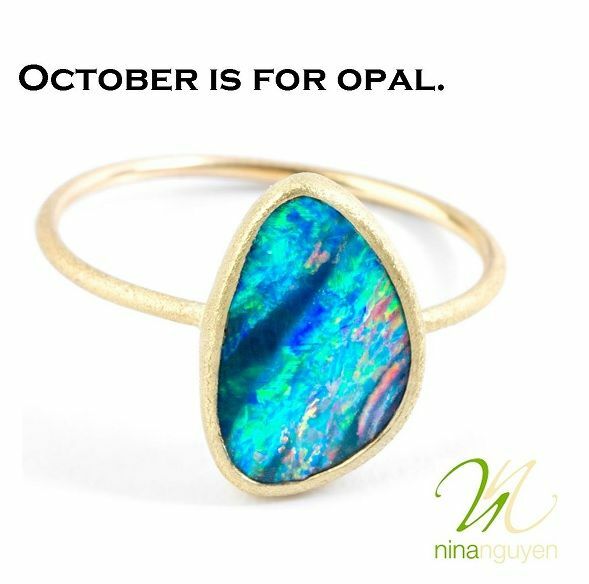 opal in 14ky gold is only $395. 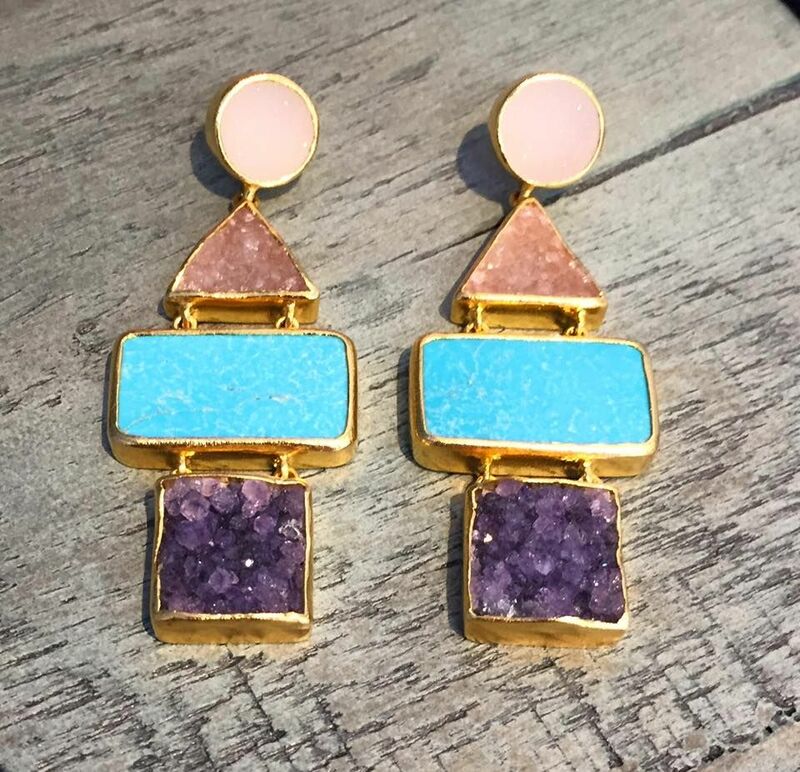 These druzy quartz, geode and turquoise dangle 22ky gold vermeil earrings by Nina are something you can wear with anything in your wardrobe. $695. 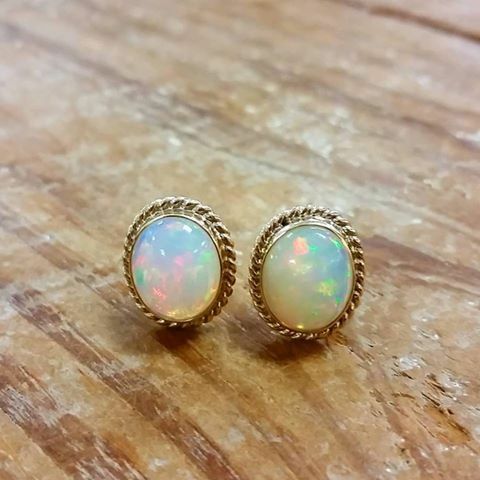 Raymond Mazza designer nautical style earrings set with 6.84ctw opals in 14ky gold. 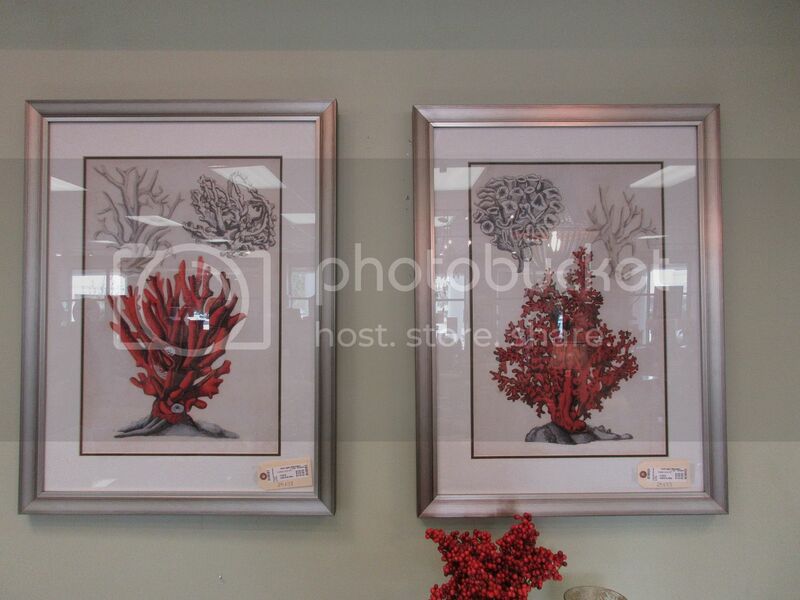 Sale price $1,695. in solid 14ky gold. 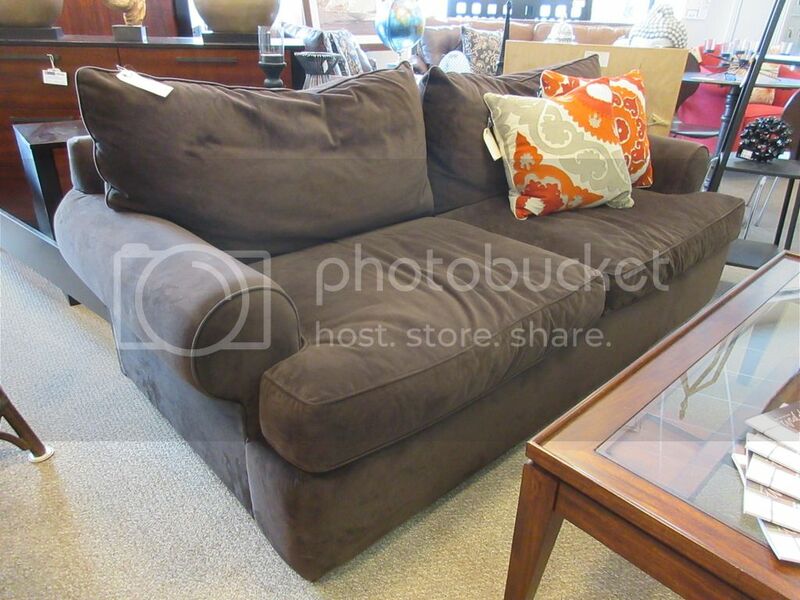 Sale price $525. 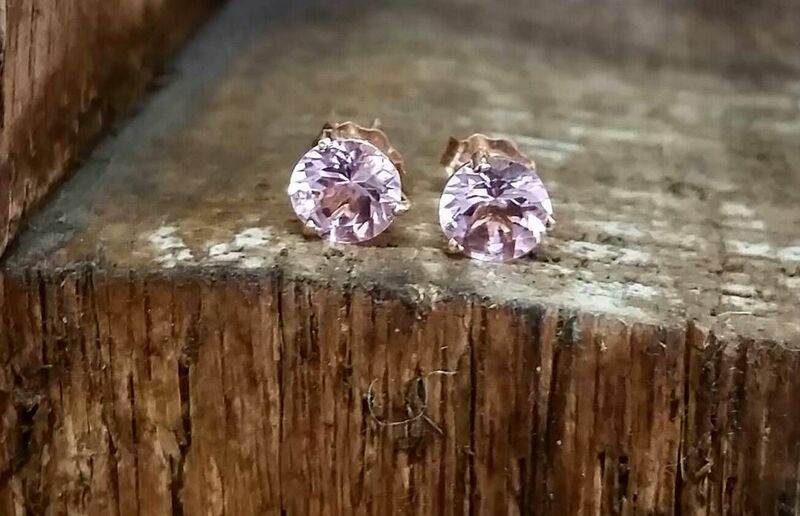 1ctw morganite stud earrings in 14k rose gold. You won’t even know these are on your ears they are so comfortable and also secure with omega backs. 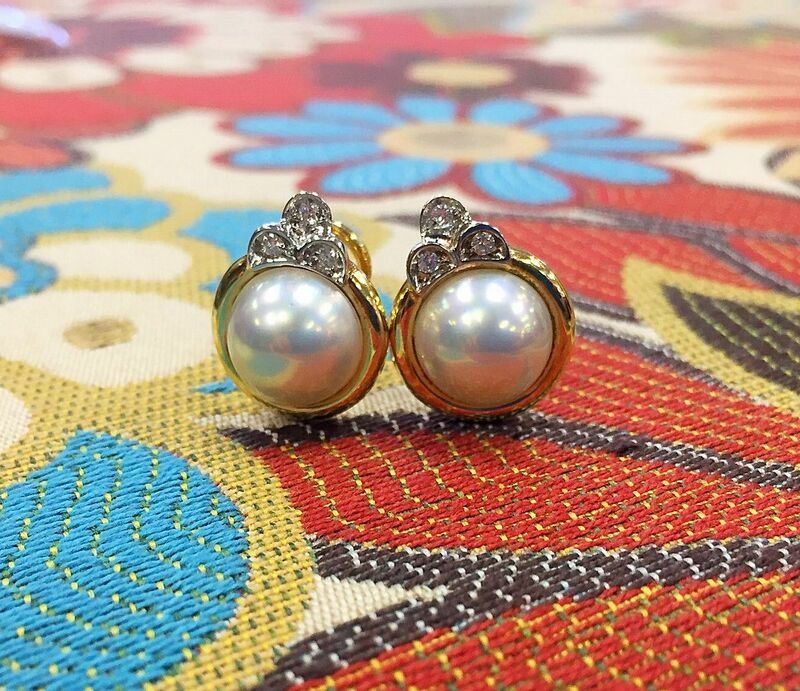 These mabe pearl and diamond 18ky gold earrings are only $995. set into 10kw gold. $195. 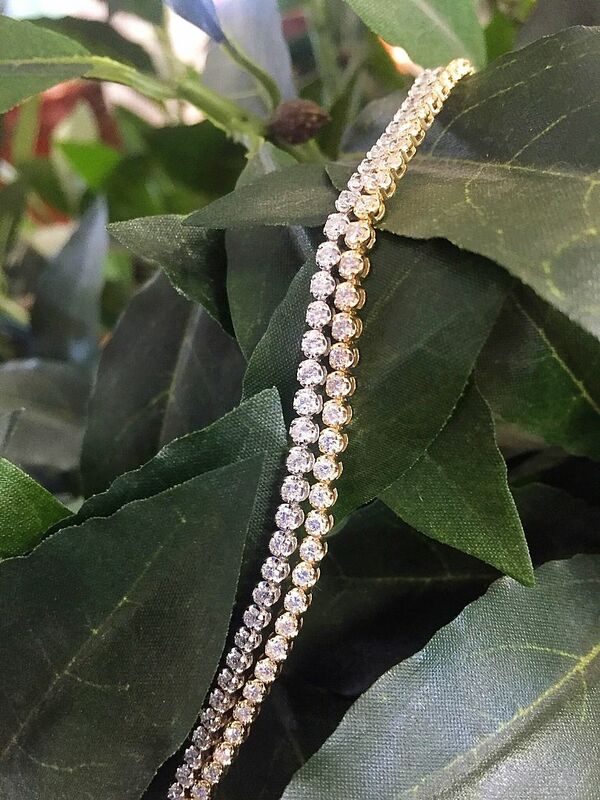 2ctw diamond SI/I H line bracelet in 14k white or yellow gold, 7 inches. $1,995 each. 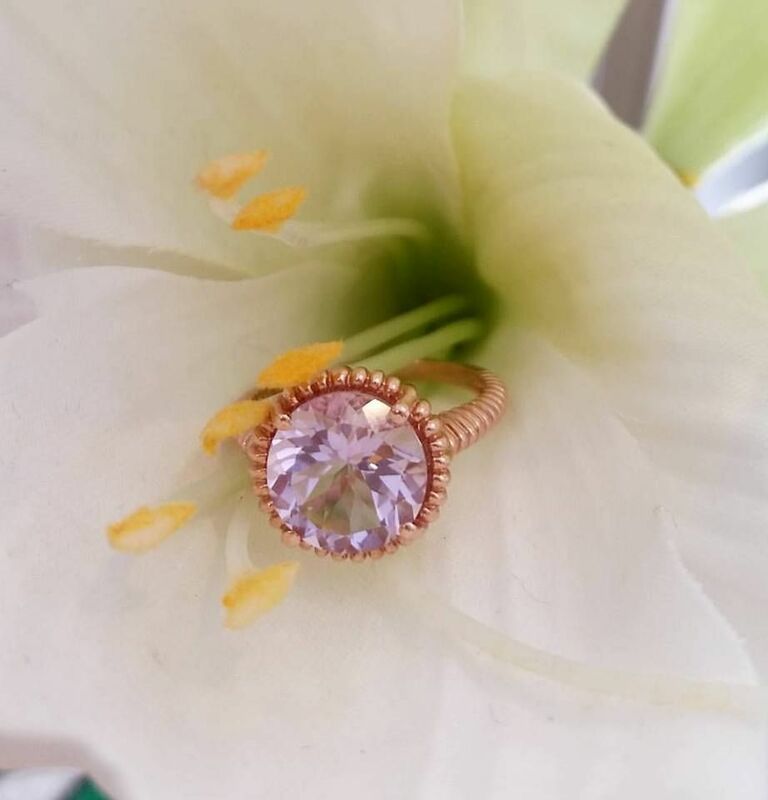 10k rose gold design, $195! Michael Christoff designer necklace set with a mesmerizing 5ct paraiba tourmaline,1.86ctw of diamonds in 18kw gold, 18 inches. $7,635. 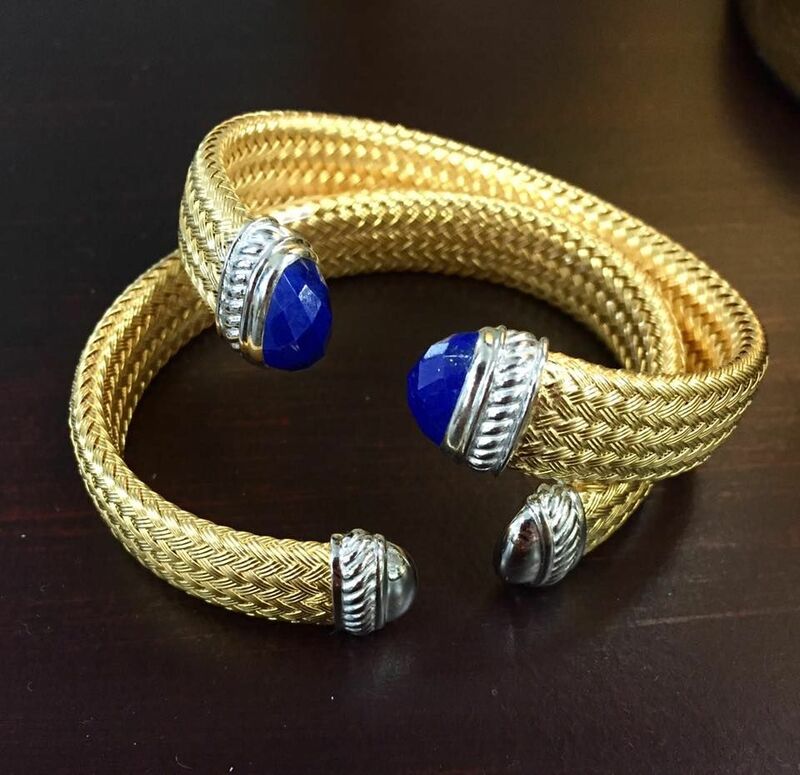 Make a statement in these Charles Garnier 18ky vermeil cuffs. JUST IN! 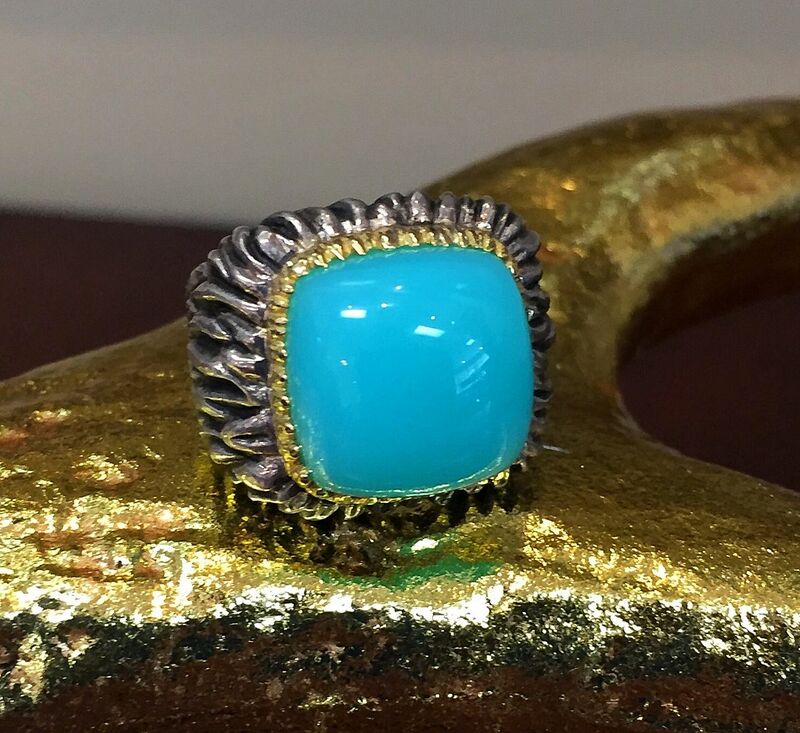 New Tony Maccabi designer pieces. overlay in 14ky gold. $995 each. 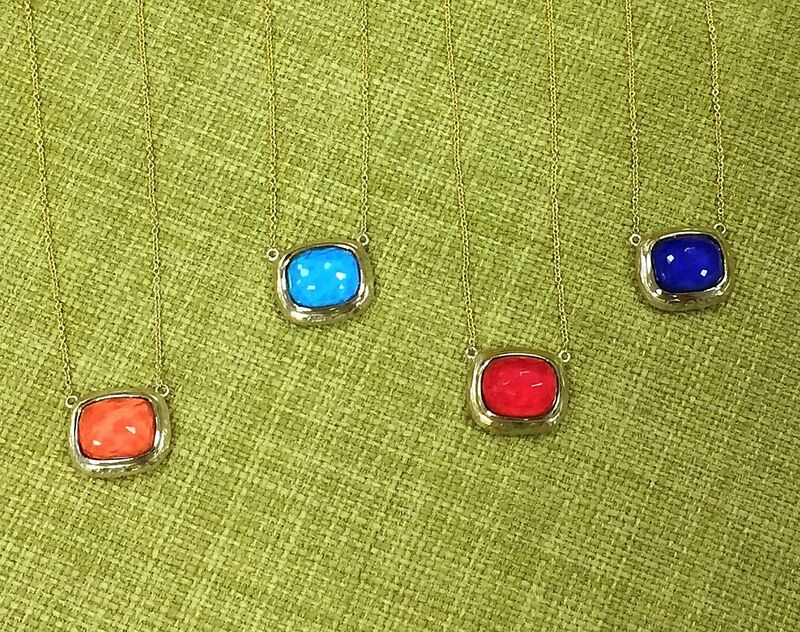 These necklaces by Tony Maccabi are everyones favorite. 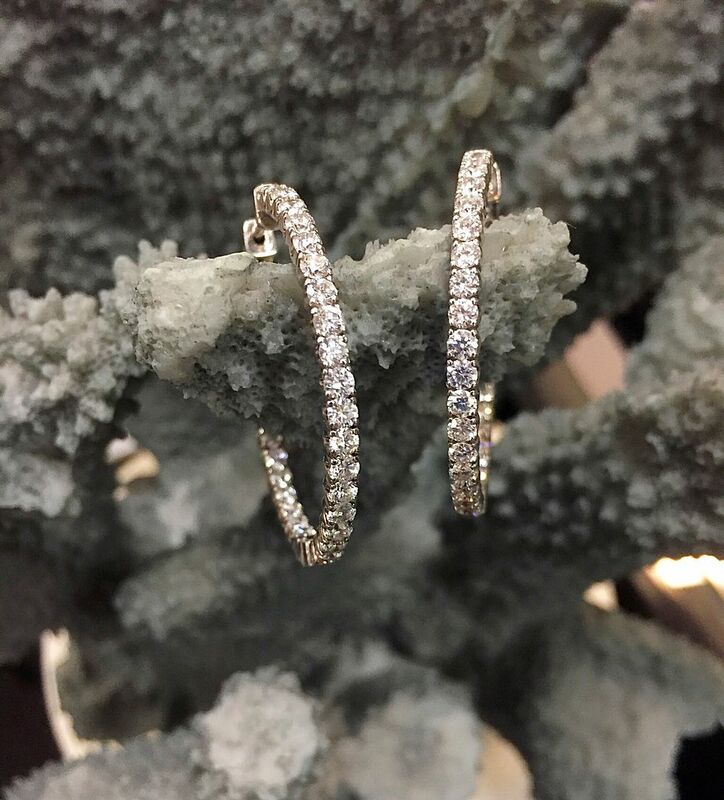 Diamonds set into 14k white or yellow gold for only $885 each. 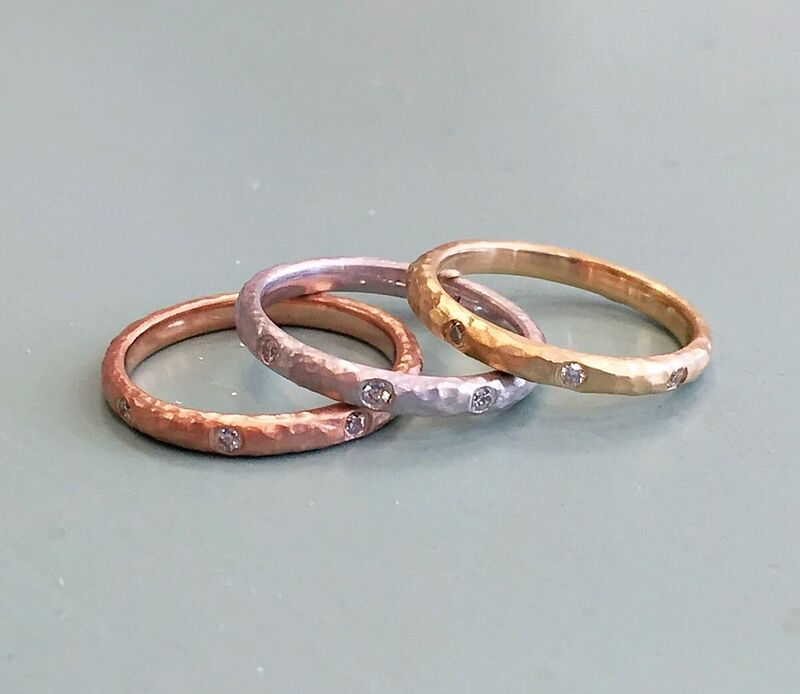 Stackable Tony Maccabi diamond band in 14k rose, white or yellow gold with a hammered texture. $715 each. accented by a 14ky golden honey bee. $1,415. 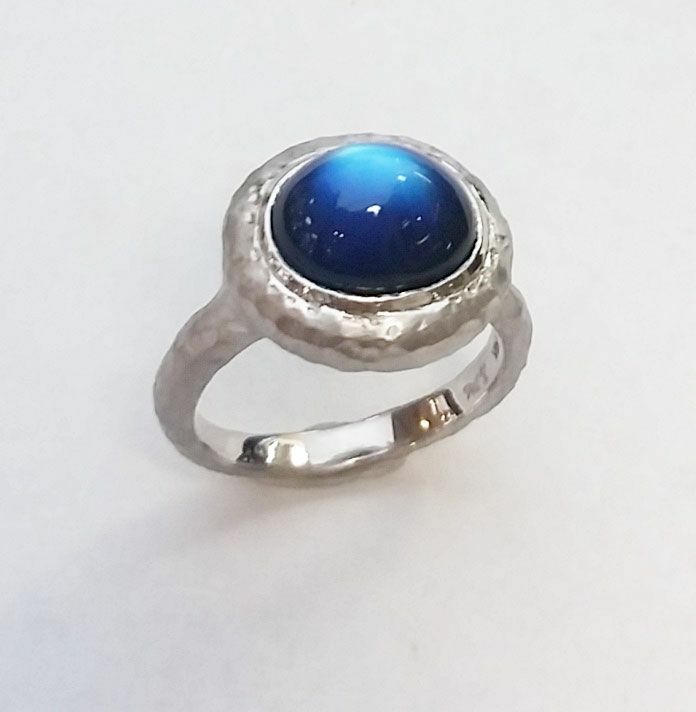 Look at the texture on this Tony Maccabi ring. 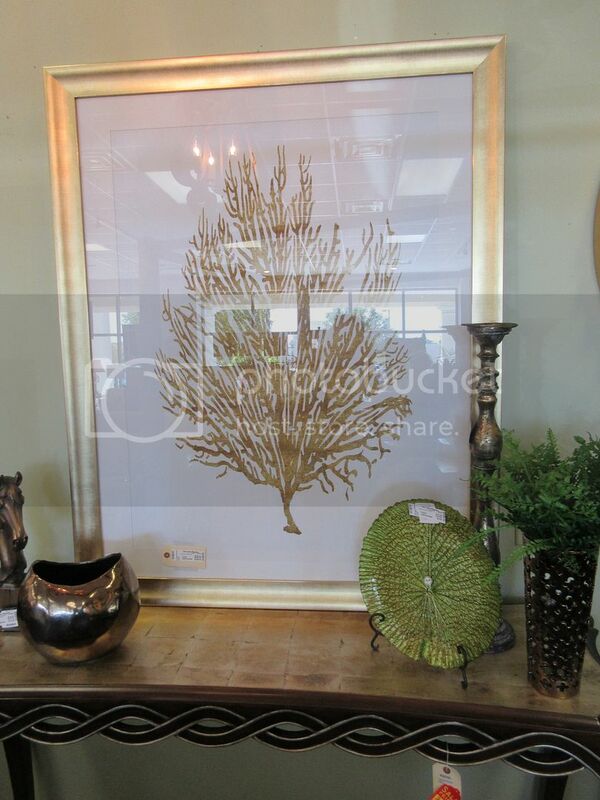 and 18ky gold only $885. 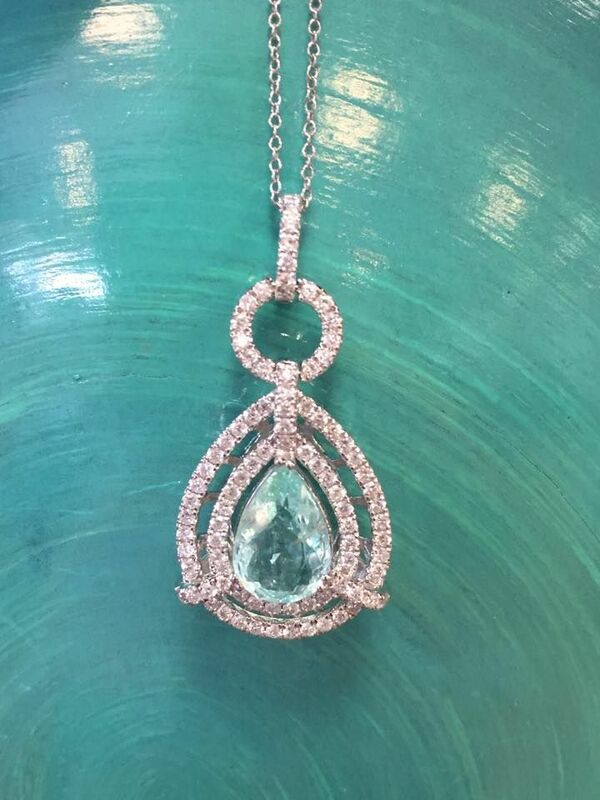 This exquisite necklace is a work of art. 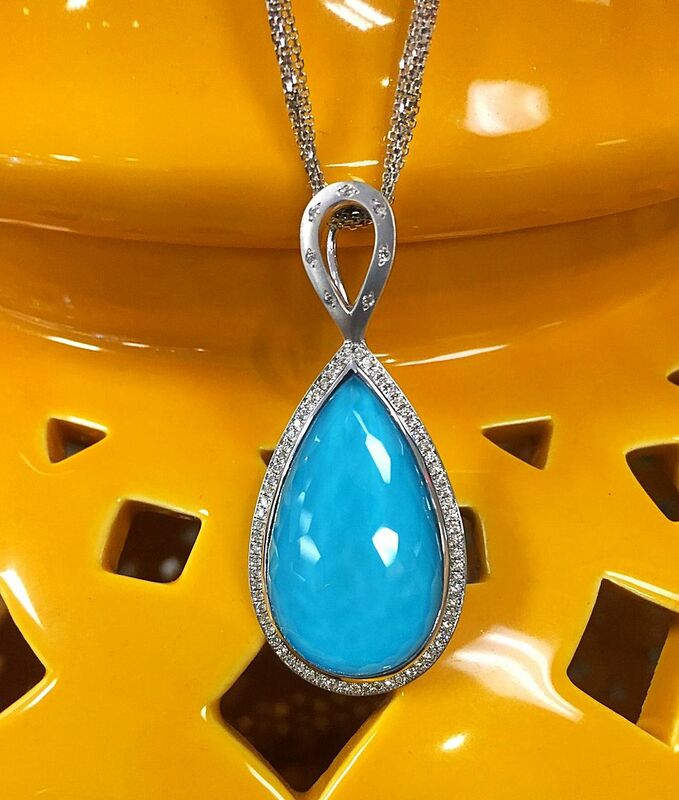 Tony Maccabi Designs turquoise pendant with rutilated quartz overlay accented with .74ctw diamonds in 14kw gold, 16 inches. $4,995. 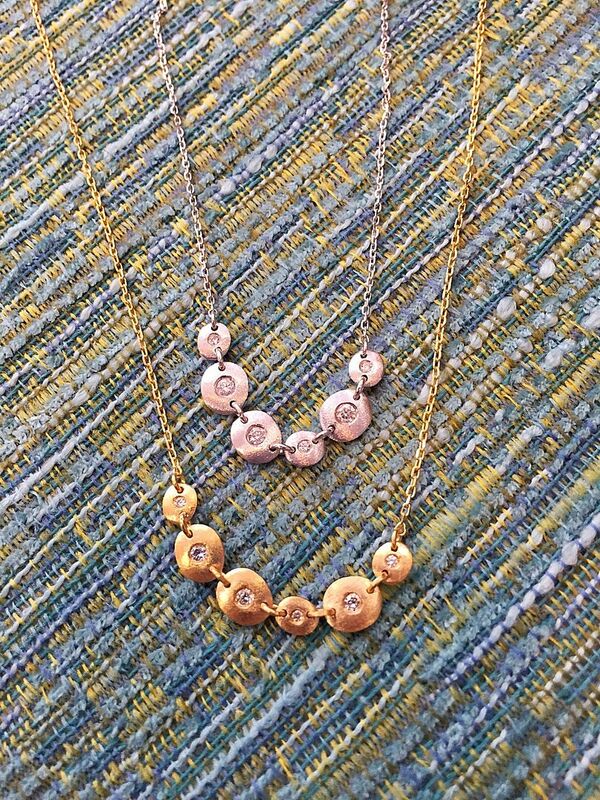 LOOK…try on and fall in love with this trio from Tony Maccabi. 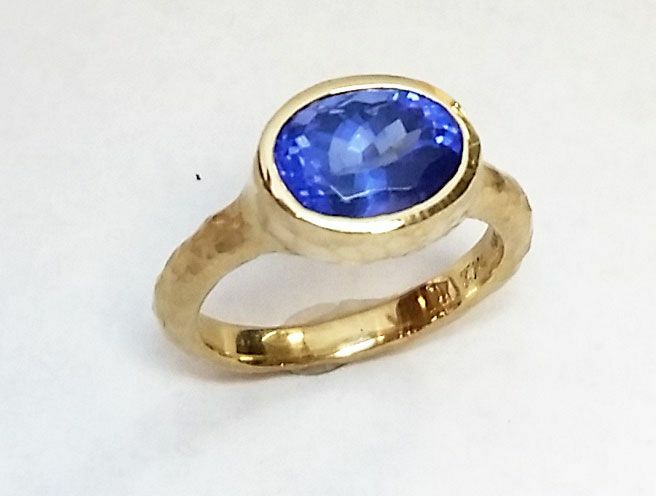 A 2.70ct tanzanite oval set into 14ky gold with a hammered texture. $1,985. 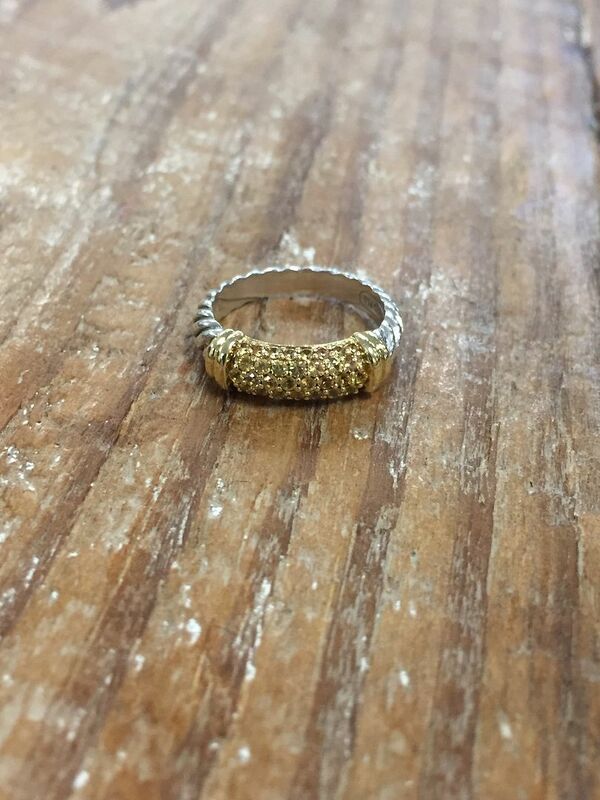 a hammered 14kw gold ring. $2,135. 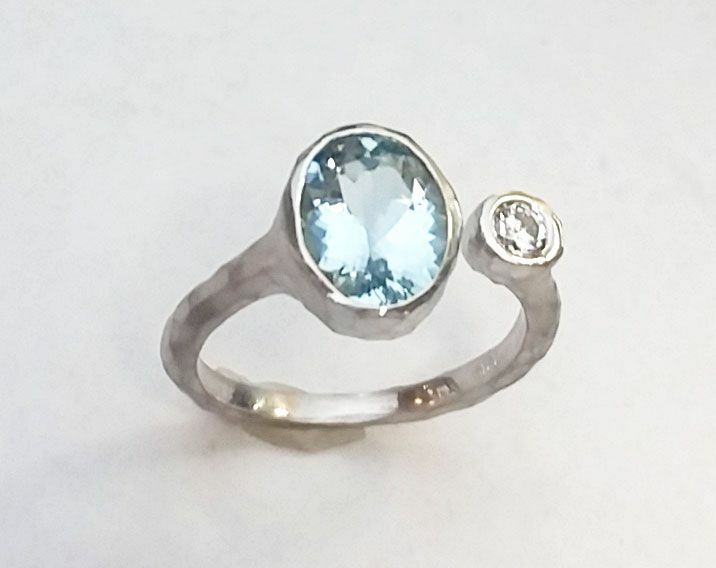 This unique bezel set ring is set with a 1.70ct aquamarine oval accented by a .15ct diamond in 14kw gold. $1,595. 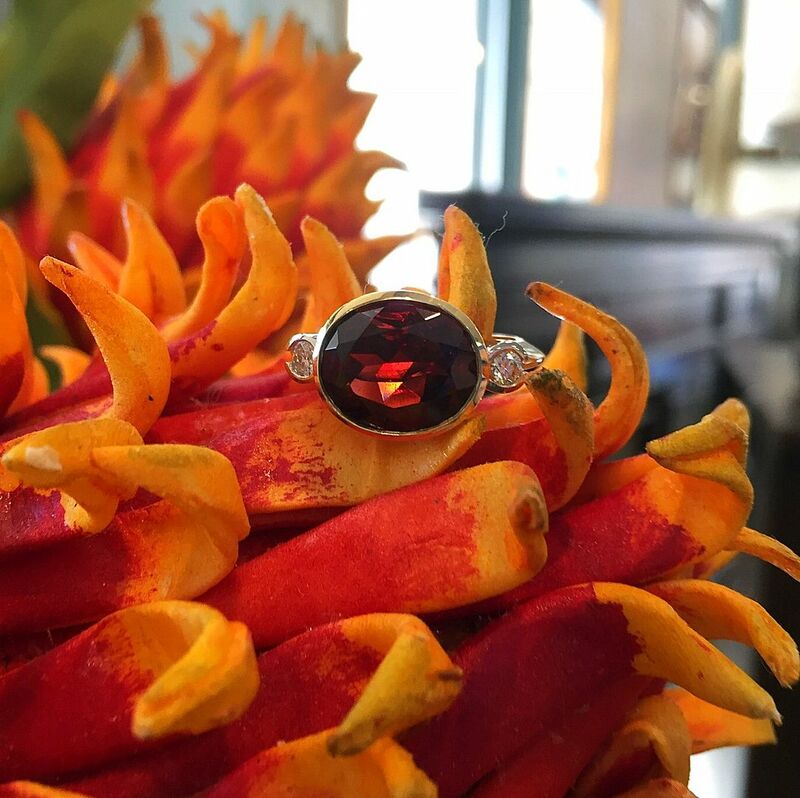 This is not your average garnet…look at the fire. 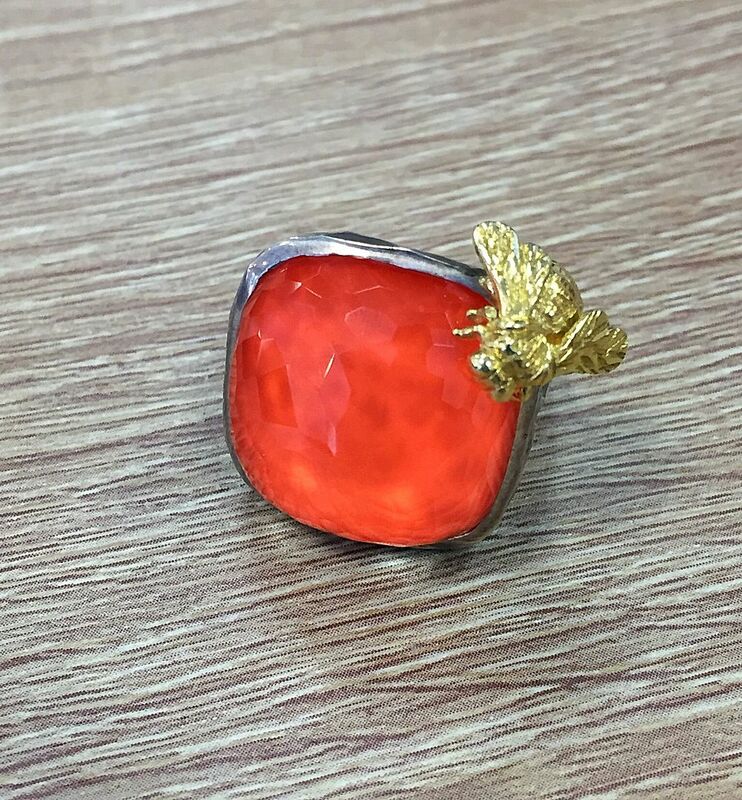 5.33ct garnet, .15ctw diamonds set into a 14k two-tone ring. $1,225. Just a reminder…please bring in your donations this weekend for Lumberton relief effort. You get it to us, we’ll get it to them!